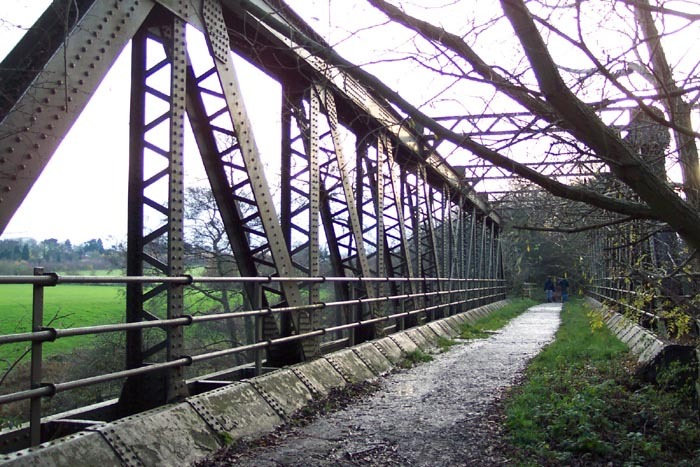 This section is to display photographs that have been taken on various explorations that don't fit into any other page on the site and a few odds and ends. 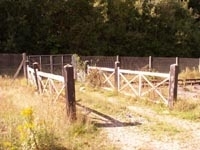 I hope you find them of interest! 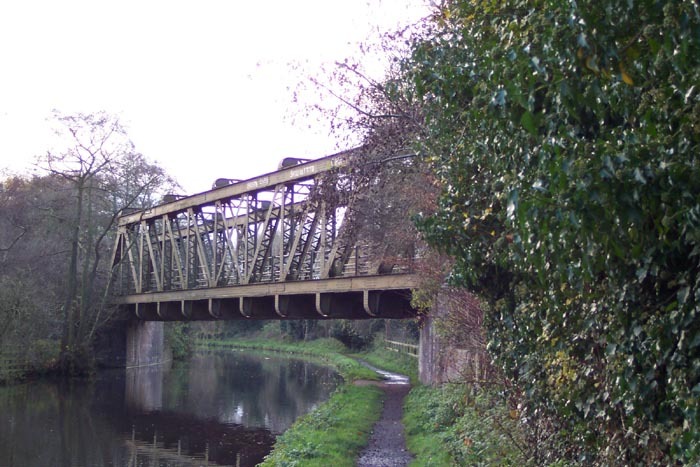 As a boy, I spent many an hour standing on the A38/Bristol Road South road bridge peering through the railings watching car transporter trains, diesel shunters, and scurrying workers shunting and coupling trains on the Longbridge Austin Works railway. 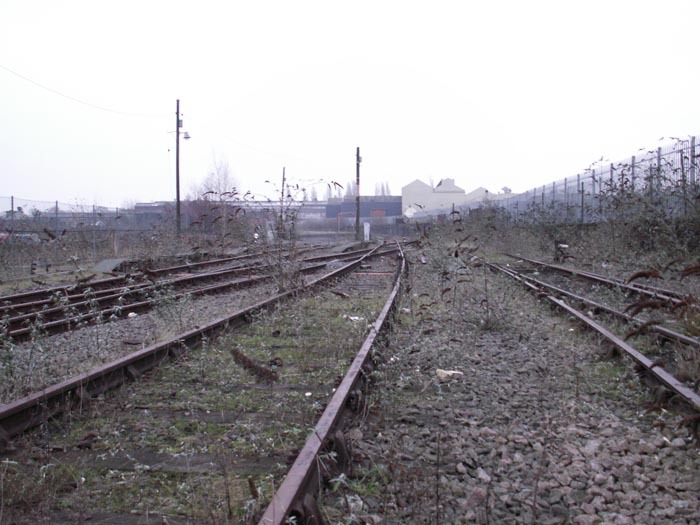 Originally part of the Halesowen Railway, the works railway lived on until the closure of the works two years ago. Many years later I married and discovered my wife's two uncles had manned the signal box here many years ago but to my disappointment had not taken any photographs! 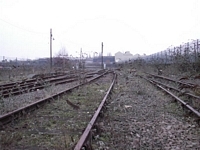 So, when the opportunity to finally gain access to the works railway and signal box presented itself, I excitedly grabbed my camera and made my way to the site to capture what will be, in reality, some of the last images of the railway in situ due to the imminent site clearance that is already at a well-advanced stage elsewhere on the works complex. 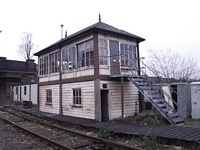 In this shot we see the remarkable well-preserved ex-Midland Railway signal box, the remaining one of two originally at the works. 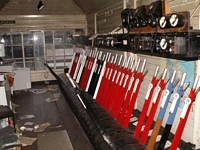 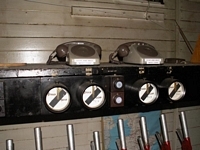 This shot shows the signal box levers controlling what was a network of sidings and branches that fed various parts of the works. Resembling something of a time capsule, here we see some of the warning/signalling equipment inside the box. 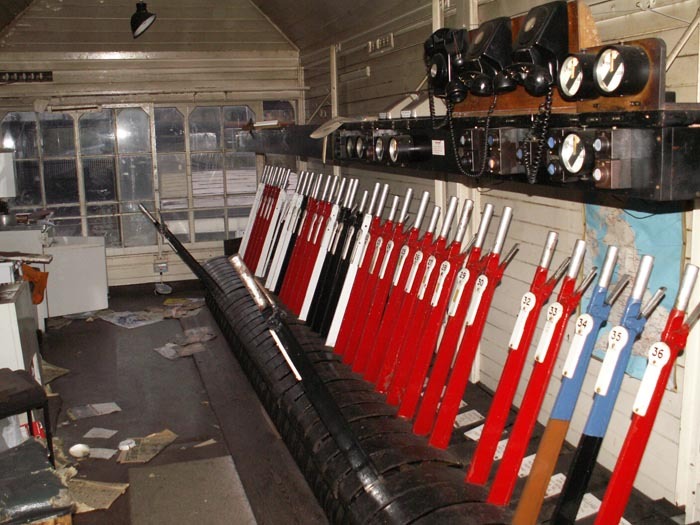 With the signal box to our left, this shot looks towards the line's joining with what is now the Cross City Line at Halesowen Junction. Looking in the same direction as the previous shot, here we are on the incline that led to a spur into the works and the engine shed. 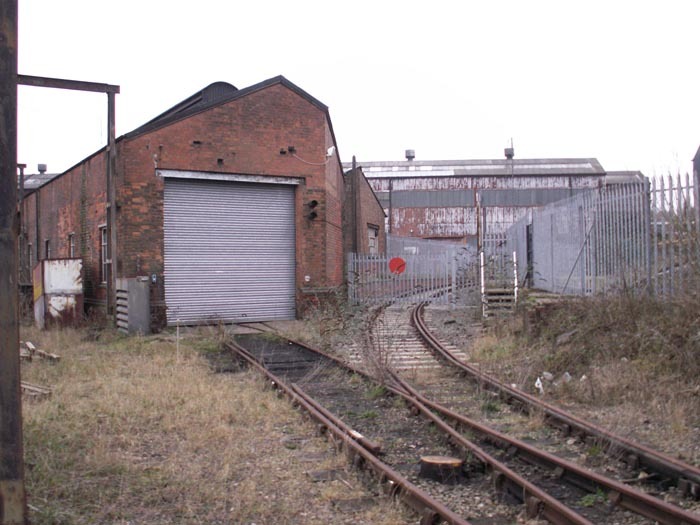 At the top of the incline, we are now looking at the engine shed and the line feeding part of the works branching to the right. 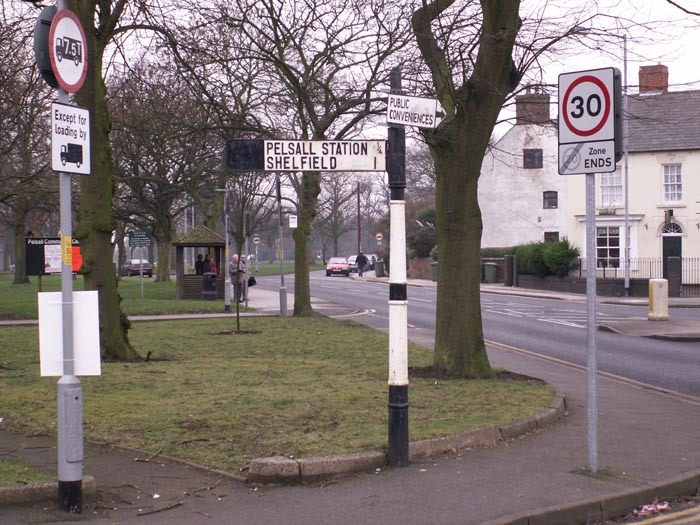 I nearly crashed the car when I saw this in Pelsall: 22 years after closure of the line, this sign at the junction of Station Road and Norton Road is still in situ! 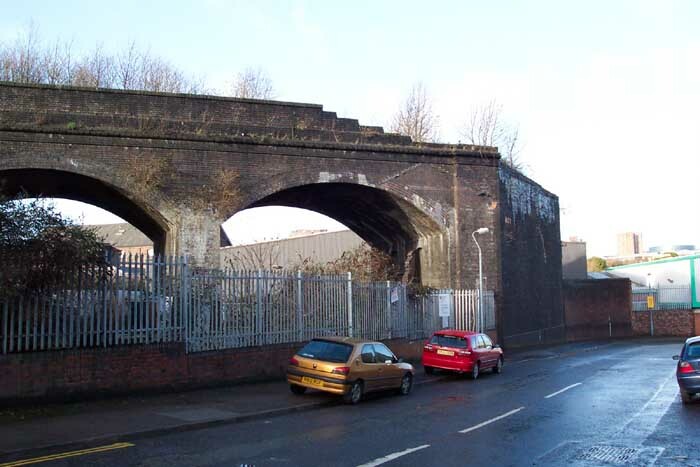 Remains of the Birmingham & Oxford Railway's 1846 aborted Duddeston Viaduct in Montague Street. 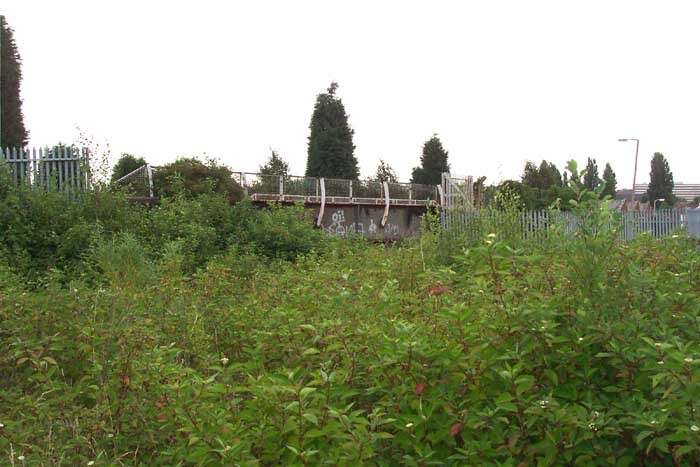 Forgotten relic: an overgrown Halesowen Railway road overbridge on New Road, Blowers Green, Dudley. 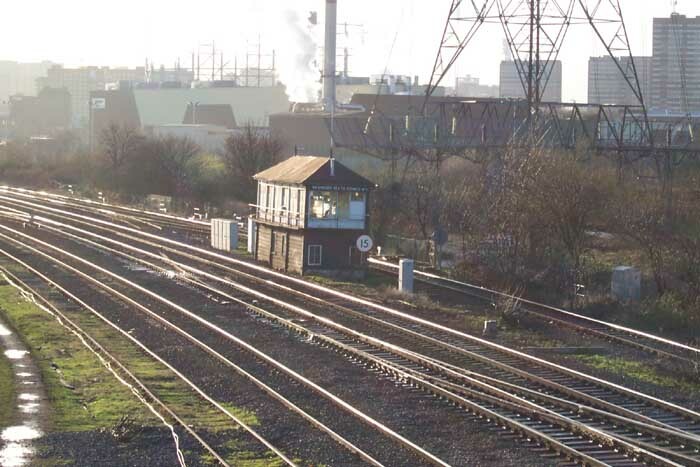 Washwood Heath Sidings No.1 signal box viewed from Church Road looking towards Birmingham. What's in a name? 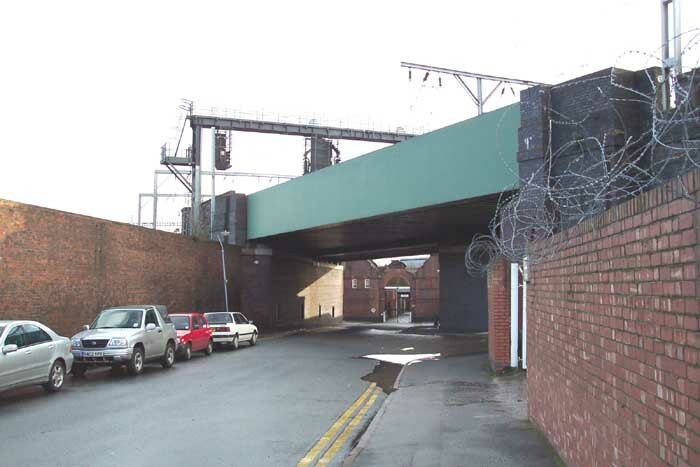 The Proofing House seen through the viaduct carrying Proof House Junction over Banbury Street. 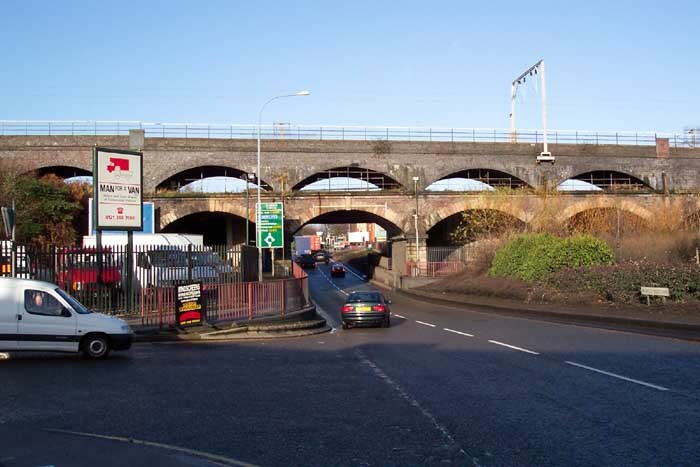 Grand Junction Railway viaduct to Curzon Street augmented by LNWR Aston to New Street lines on top over Lawley Middleway. 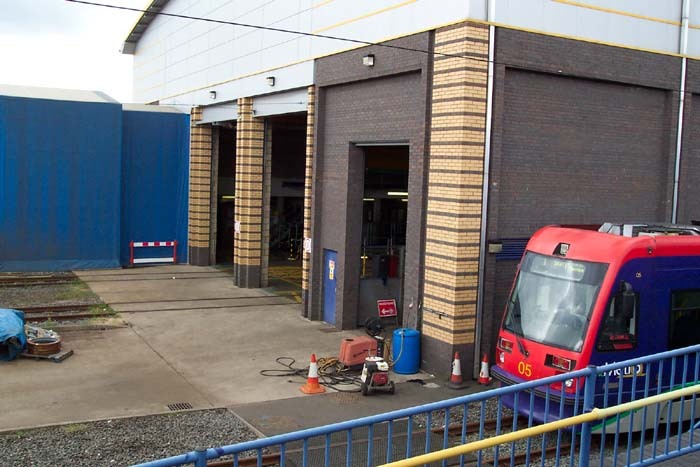 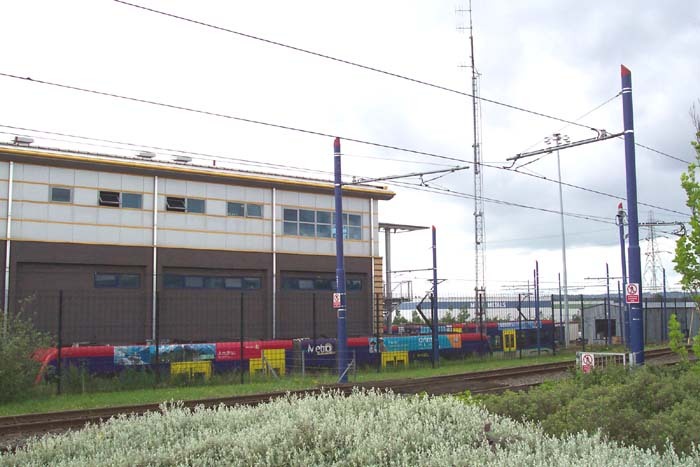 T69 Tramcar 05 is seen here standing in a siding at Wednesbury Metro Depot. 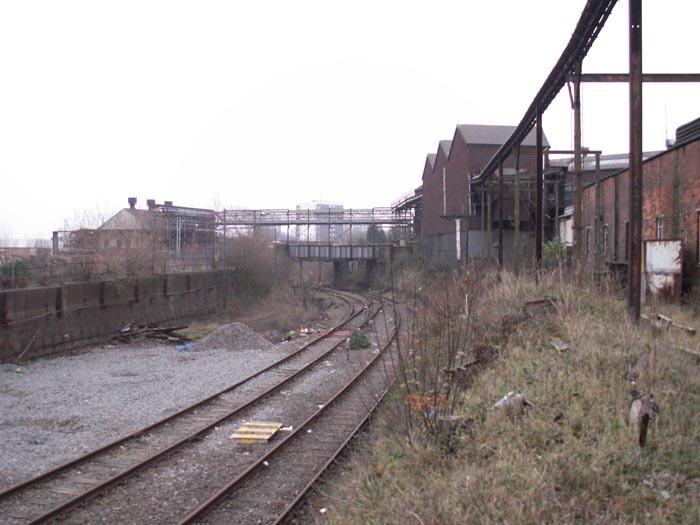 The photo was taken from Wednesbury Great Western Street Metro stop which affords a good vantage point. 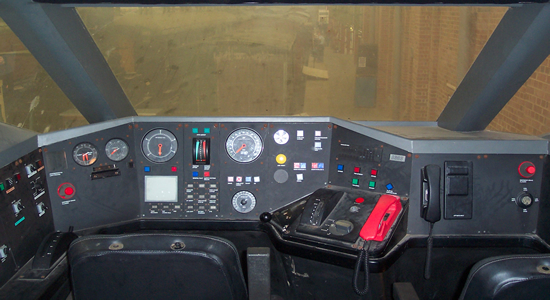 Another shot of the Metro depot showing T69s awaiting duty. 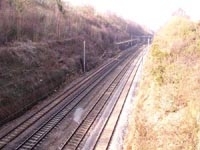 This is the site of Cofton Tunnel on what is now the Cross City line between Longbridge and Barnt Green. Due to the necessity for two additonal tracks, the tunnel was demolished in 1925 and, following a major landslide, became the wide cutting we see today. 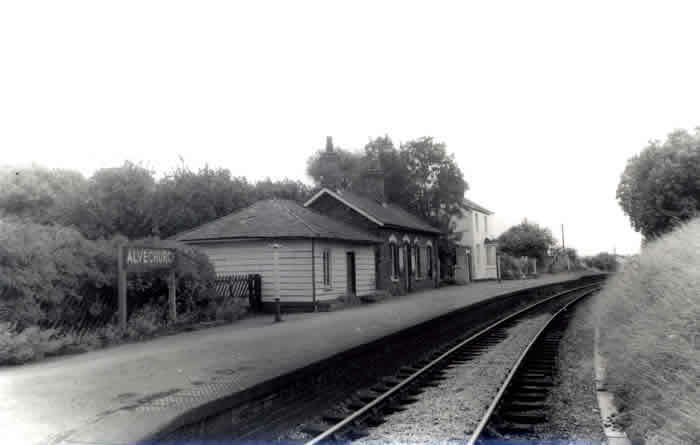 This picturesque view shows Alvechurch station on 31/07/70 looking toward Redditch a few years before the reopening of the route as the Cross City Line and the moving of the station to the rear of the photographer in this shot. 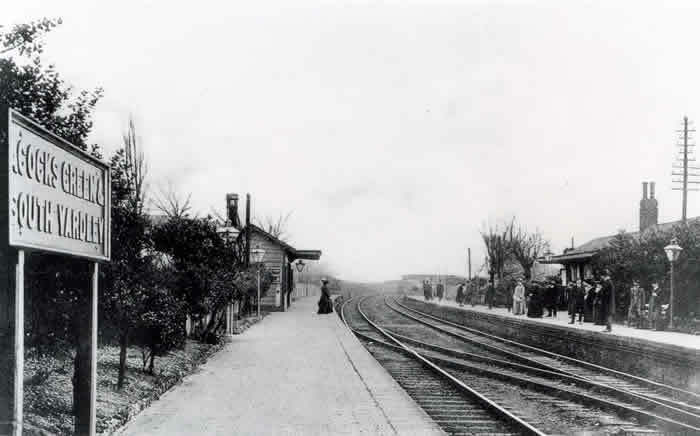 This undated photograph shows Acocks Green station looking in the direction of Solihull - note the nameboard stating the station name as it was originally. 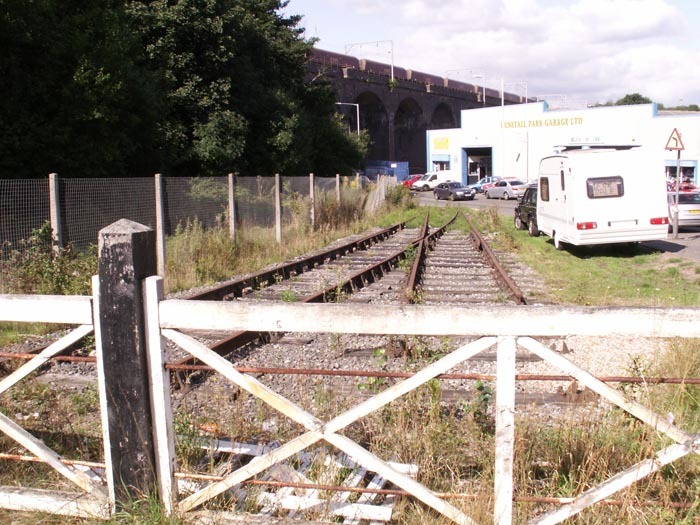 As I have since been informed, this piece of truncated line off Gorsebrook Road, Dunstall Hill, was laid as a 'monument' to the region's railways by Wolverhampton Council. 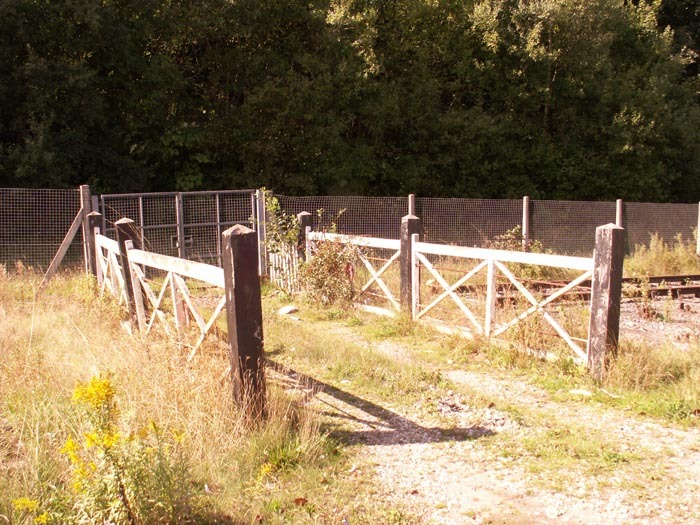 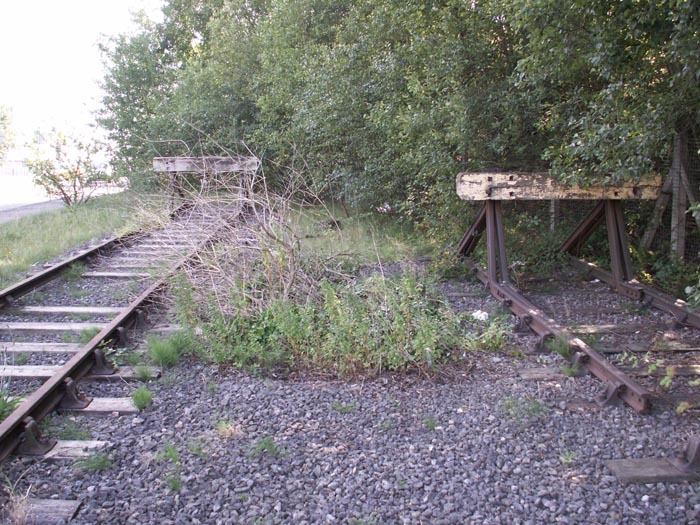 These photos all show the remains in their entirety which, including the level crossing, have been left for posterity. 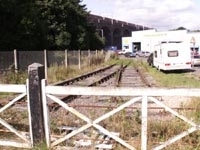 If anyone has further information, please let me know. 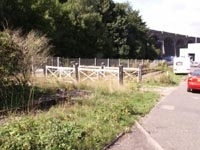 In this shot we are standing on the level crossing and can see the viaduct carrying the ex-GWR line from Wolverhampton Low Level (to the rear) towards Shrewsbury. 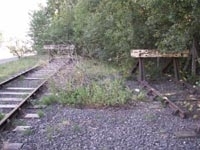 A very interesting little find is all I have to say on this spot! 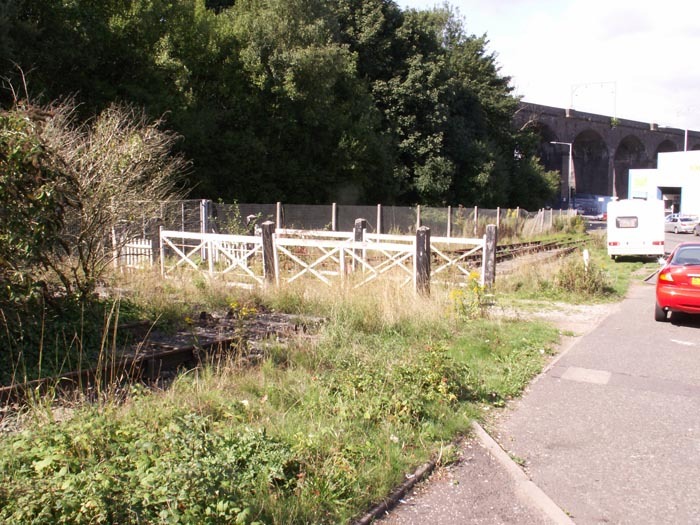 In this shot we are on the trackbed looking along the bridge towards Compton halt. 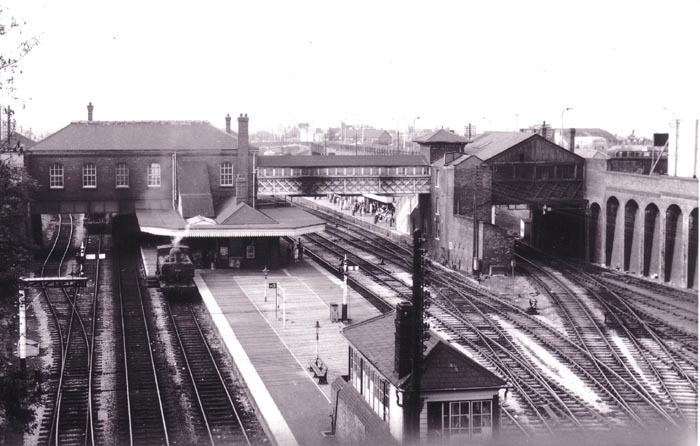 A good mid-1955 shot of Dudley station (well, almost 'stations' as the site technically housed two companies stations) taken from the A459: LMS side to the right, GWR to the left. 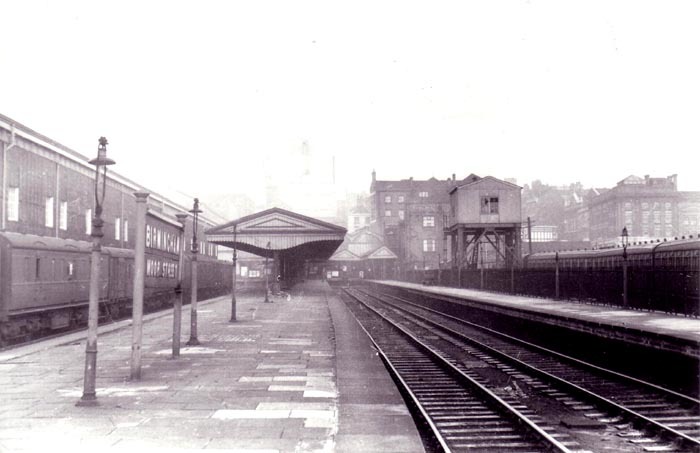 This is a great shot dated 23/09/50 at the GWR Moor Street station looking to Snow Hill with the long-gone goods shed to the extreme left. 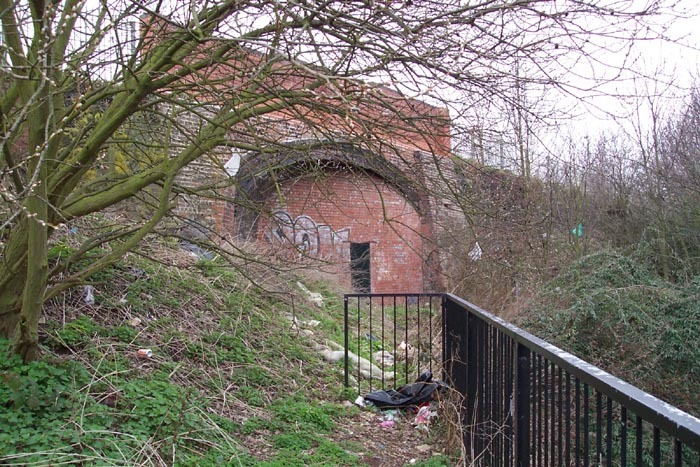 The bricked-up tunnel mouth from which the Harborne Railway once emerged to join the main line, Northbrook Street, Winson Green.